The iPhone XS Max is Apple’s most-advanced smartphone ever. Its 6.5-inch Super Retina display promises crisp picture quality and the best color accuracy in the industry. The videos and photos you look at will feature the blackest blacks and the whitest whites, while every other color will look just as good too. The photos you take will look fantastic on the iPhone XS Max screen as the handset boasts a dual camera system with Smart HDR. This enhances the detail of the photos you’ll take and even improves the quality of the photos you take in low light. Video capture quality has also been improved, offering larger pixels, better video stabilization, and higher low-light performance. Your selfies and videos have never looked so good. This is all powered by the powerful A12 Bionic Chip. This technology is the smartest and most powerful chip ever offered in a smartphone. Not only will it provide unparalleled performance when you’re playing your favorite games or using the many apps offered by the App Store but it also makes the iPhone XS Max much more efficient. The phone already offers a battery life of up to 25 hours (talk time) or 65 hours (music play) but you’ll be able to get so much more out of it. With wireless charging and fast battery charging (50% of battery in 30 minutes), you won’t find yourself with a flat battery very often. Apple hasn’t skimped on design, either. 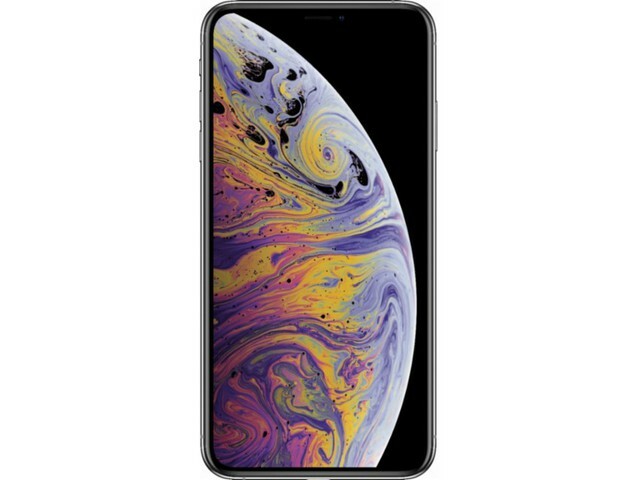 The iPhone XS Max looks great and with the Silver, Space Gray, and Gold color options, you can match your smartphone to your personal style. Create a product alert using the box below and get notified when the refurbished iPhone XS Max is in stock, letting you save money on Apple’s new handset.